How Does The York Excel 310 Rowing Machine Ensure It Is More Than Your Average Machine? There are basic expectations from rowing machines these days and the York Excel 310 Folding Rowing Machine initially seems to be able fulfil most of them to an average standard, with its use of magnetic resistance, a foldable mechanism for easier storage options, 16 different programmes and a display for data. A 6kg flywheel is not the biggest option in the world but it is a good start; the question for prospective buyers is whether there is more to this machine to make it a must-have model. 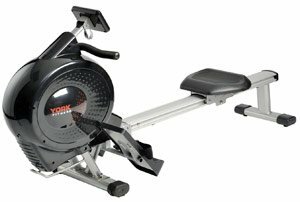 The York R510 rower provides an excellent full body workout in one suitable machine. 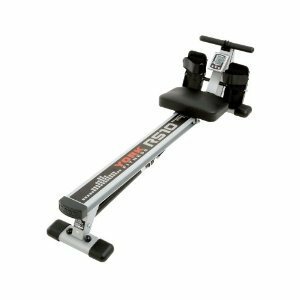 This rowing machine will not only allow you to use like a regular piece of rower, but will also allow you to use the resistance bands for many of the arm exercises that are commonly practiced with free weights. The resistance levels vary with 12 different types being possible. This allows anyone to increase the difficulty of their workout by simply adding a level of resistance.